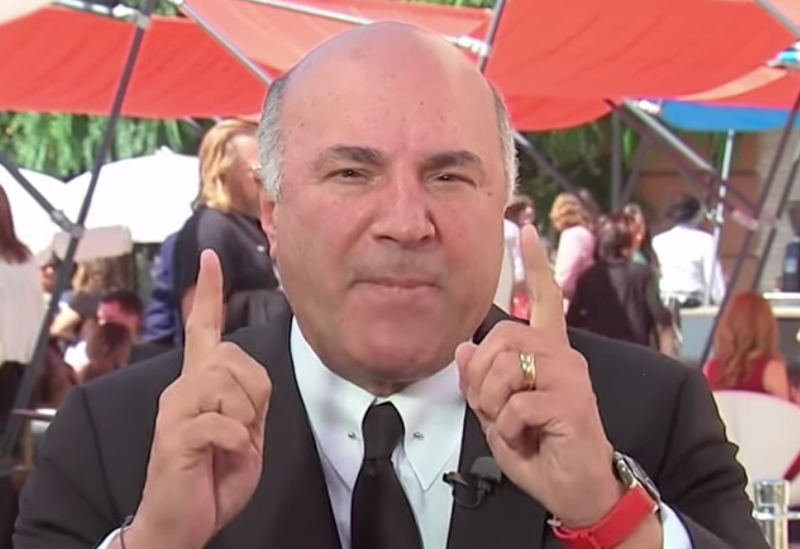 Shark Tank star and investor Kevin O’Leary says that despite the recent stock volatility the “American core economy is on fire like it was in the 60’s.” O’Leary also believes that getting a deal done with China, as we did with Canada, Mexico, and Europe will make the economy boom even more. I think it’s fair to look at large-cap companies and say that they should have some exposure to the volatility to the rest of the world. Over 47 percent of the S&P’s earnings come from overseas markets, notably Asia which is having a massive correction and Europe which is slowing down a little bit. Obviously, the German numbers over the last three months have been slower than people anticipated and it’s started to be reflected in some of their debt. I still look at that and say, okay, I’m going to own those companies because of their sheer scale and their growth and dividends. Yes, we have more volatility because there is some concern about China and other markets. Our own domestic market, our companies in this country which don’t sell abroad and which have a lot of their input costs at question is one of the reasons small caps are correcting because people are worried about tariffs actually effecting input costs. I have over 30 of them now, almost in every state. The last two quarters I’ve never had anything like this in my life. We’re hitting on every cylinder we’ve got. So look, yes we should be concerned, but the American core economy is on fire. It’s on fire like it was in the 60’s. I’m still bullish on the American economy, my money is still going there because I live it every day. These are not public companies, these are private ones that send me a check every quarter and cash flows are going up. I love them. If We Get a Deal Done With China, Katy Bar the Door! The reason we are not having a major correction yet on the China story is that (investors are waiting to see) if we get a deal done as we did with Europe, as we did with Canada, as we did with Mexico. If we get a deal done with China, Katy bar the door! The upside on the S&P, if that gets worked out, will be extreme. We will have concern about a melt-up, which you don’t talk about on a day like today. That’s why the market is waiting to see what happens. So Mnuchin and Kudlow, put your nose to the grindstone, get some work done there, and solve this for us.